When you are shopping for a new bed, you have a lot more options than king, queen or full or memory foam or innerspring. There is a whole world of mattress and bed design out there that is pushing the limits of what we know and showing us what’s possible. 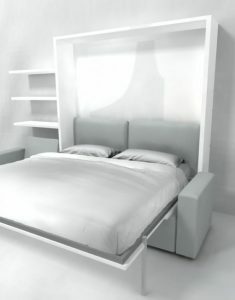 Some of the most interesting and cutting-edge designs include modern, space-saving beds like Murphy wall beds. These aren’t your grandma’s sleeper sofas. These are beds that not only look stylish but also help you get more from your space. 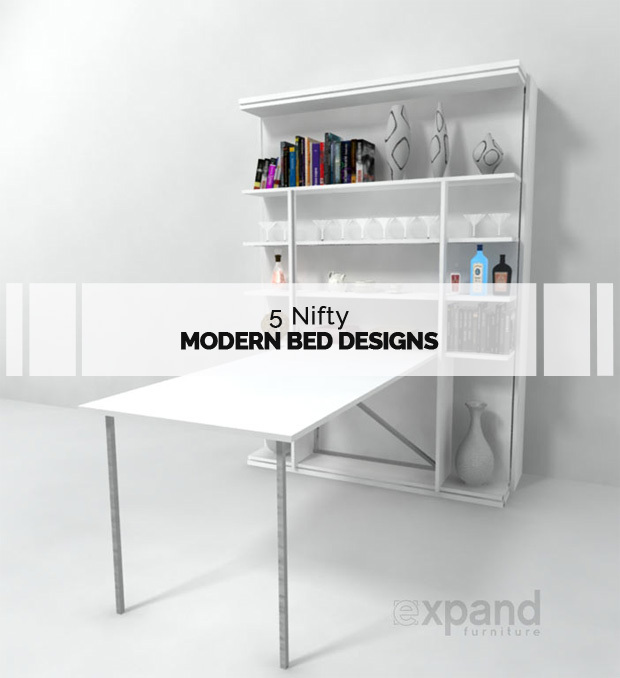 Modern Murphy wall beds do more than just pull down from the wall. They attach to sofas, desk, book cases, shelves and more. This revolving wall bed features an Italian design features a bed, a desk and a full shelf on a unique rotating design that will make you feel like you live in a castle with a secret passage. Just flip the desk top up against the bookshelf and turn the unit to reveal the bed on the other side. Pull it down and you’re ready for a restful night of sleep. The whole unit is easy to convert, and it has a minimalist and modern design that can fit into just about any aesthetic. 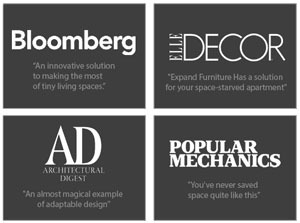 It comes in six different finishes to give you more flexibility to match your décor. Wall beds with sofas help you turn living and study areas into sleeping spaces for guests easily without having to move any furniture. 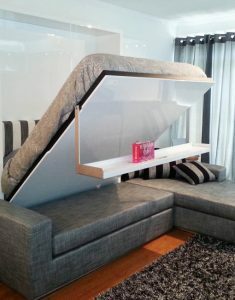 You just fold down the cushions and pull the bed down right over the sofa. This king Murphy wall bed features a sectional sofa with a chaise. Since this bed is a king, it will offer plenty of space for your guests. They will get a better night’s sleep on this bed than they might on some traditional bed designs. 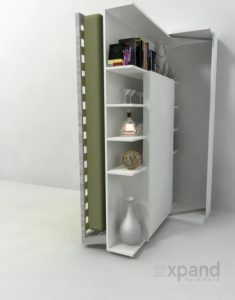 The model also features floating wall shelves to keep books nearby or to decorate with pictures and knick knacks. For some, a wall bed can take up too much vertical space. They might want a more open look to the walls, or they might want to use that space for art work or other décor. The metro cabinet bed gives you the same benefits of a Murphy wall bed but in a much more compact space. This design gets its compact form thanks to a folding mattress. The mattress folds in half and then pushes against the wall just like another wall bed. However, the whole unit is more the size of a dresser or buffet than a huge display cabinet like some other wall beds. The Metro Cabinet Bed has a stylish design that features gorgeous wood grain and plenty of accent sculpting. It is minimalist and modern with a hint of traditional design. This sectional sofa wall bed features a more traditional sectional design with a full chaise and “L” shape sofa. There is more seating area for your family or guests. Above the sofa is a floating shelf, and some wall shelves are mounted over the chaise area. This bed has a great modern design that features clean, simple lines and neutral colors like glossy white shelving and grey fabric. However, other finish and fabric options are available to give you flexibility in your design. Modern beds designed with space-saving in mind are not always wall beds. Some feature hidden compartments with storage that help you minimize clutter and the need for other furniture, such as a dresser or armoire. 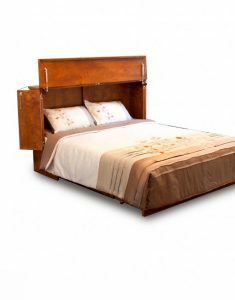 This lift storage bed has a gorgeous design with black leather and a unique curved headboard. Just lift the mattress platform and you will reveal a storage area under the bed for items like boxes, seasonal clothing, sports equipment and more. Since the bed is on a hydraulic platform, it is easy to lift, so you will have no problem accessing your storage. Plus, you’ll have a gorgeous bed that contributes to your modern aesthetic. 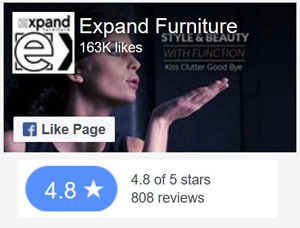 Expand Furniture sells these and many other modern beds, including several styles of modern Murphy wall beds. 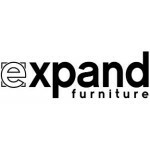 Our furniture is made of the highest quality materials and with the highest quality craftsmanship so that it not only looks great but also lasts for many years to come. 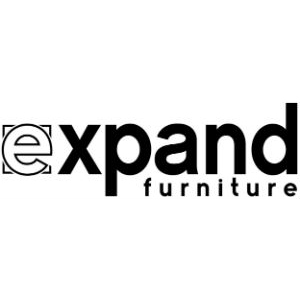 Explore our online catalog to learn about our different bed designs or to find other space-saving furniture options.